Well today I completed my first electronics project :). I initially was going to just mount the regulator to the case, but someone at work suggested i use a bit of strip board as well as use relevant connector (floppy type in this case). All works. Apart from the 240Volts I got yesterday lol, it was a pretty successful little project. Photos below. Used existing mount point to provide a secure fixing then plastic mounts for the rest. The new PSU has turned up. 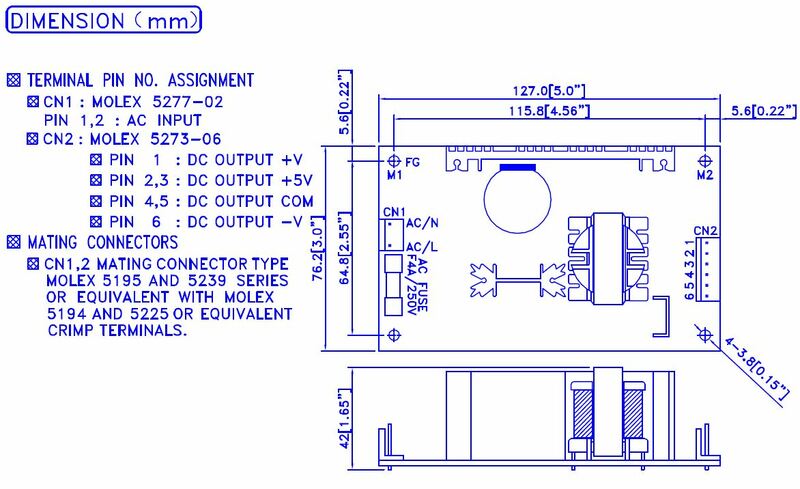 Need to look at getting connectors sorted out…. New Power connectors (KK series in the 3.96mm pitch) have now turned up from RS, just waiting on the Crimps (now here). 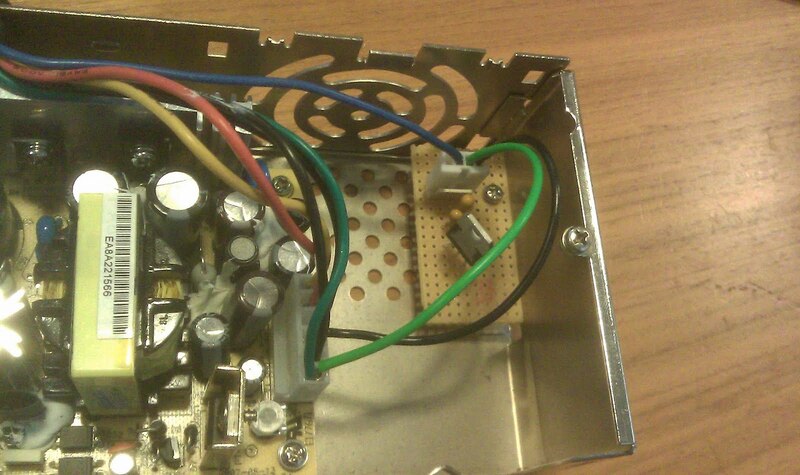 My latest project is to replace the insides of ageing GS PSUs with a modern equivalent. Why you might ask? Well it all goes back to having things original. My main GS happily works with a Mini ATX and external power pack. 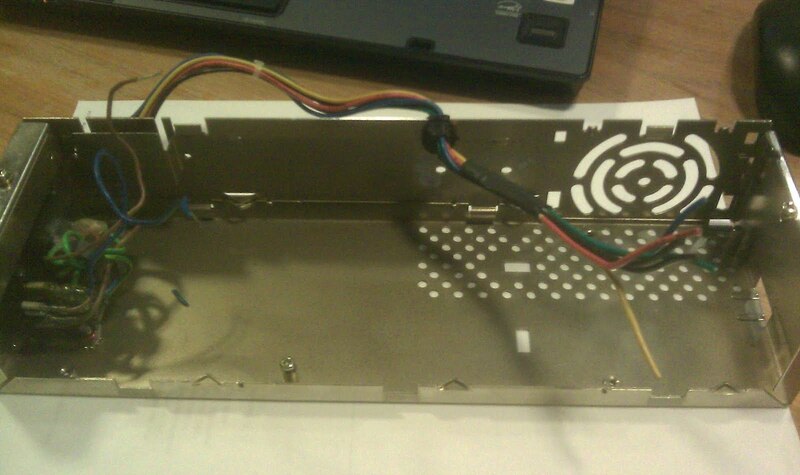 Its great as all the heat generated by the PSU is not internal to the GS. This is perfect for day to day use…well once a week use :P.
I have a couple of older GS machines (and also my newly acquired ROM03…but it has a 110v psu another reason for this project) that have PSUs that struggle when under load..so i wanted to use them as my guinea pig. After some posting on the comp.sys.apple2 i was pointed into the direction of a Meanwell PT-65B open frame switching PSU (It has been used to replace a Vulcan PSU with some minor modification to component placement). 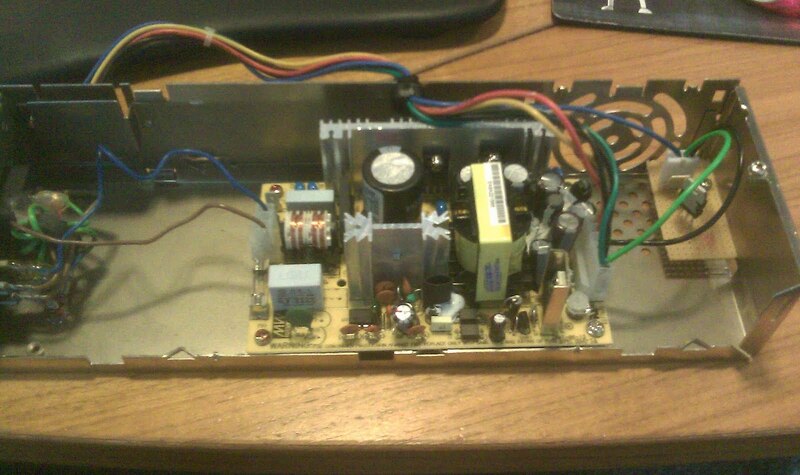 Though this should fit inside an existing PSU casing it only outputs +5/+12/-12 the -5 is missing and you need to use a negative regulator to produce a -5 for the GS. TO220 Insulator and Bush so i can isolate the Regulator from the PSU case which i will attach it too. 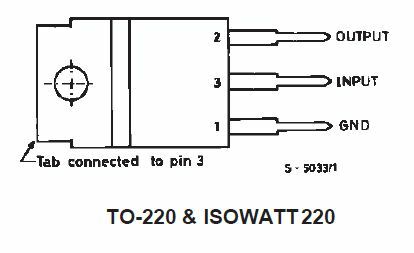 You are currently browsing the archives for the IIGS Power Supply category.